Boom Recycling can manage almost all by products. Boom Recycling can provide the service you need! Boom Recycling can service your facility! 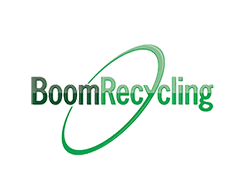 With our robust vendor supply chain, Boom Recycling can provide exceptional rates for service. Think Green & Reduce Cost! Let’s preserve our world and your budget together! Working with the customer to establish a comprehensive waste diversion program, Boom Recycling drives efficiency through waste reduction and logistics to achieve reuse and recycling goals as well as best-in-class service.